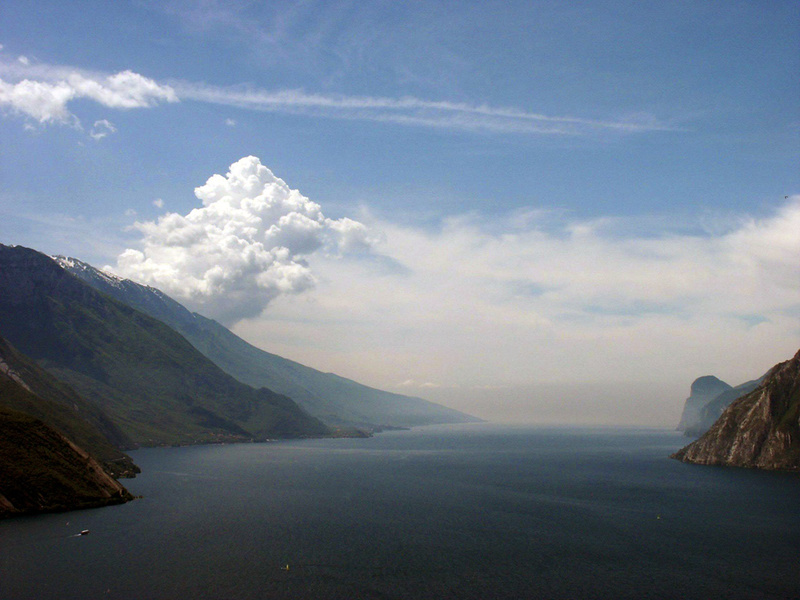 The great Lake Garda is Italy’s biggest Lake, and certainly the most varied. The southern shore is bordered by olive groves and vineyards in a pretty ‘Tuscan’ rolling hill landscape, while the northern part is a narrow ‘fjord’ bordered by high-rising mountains. 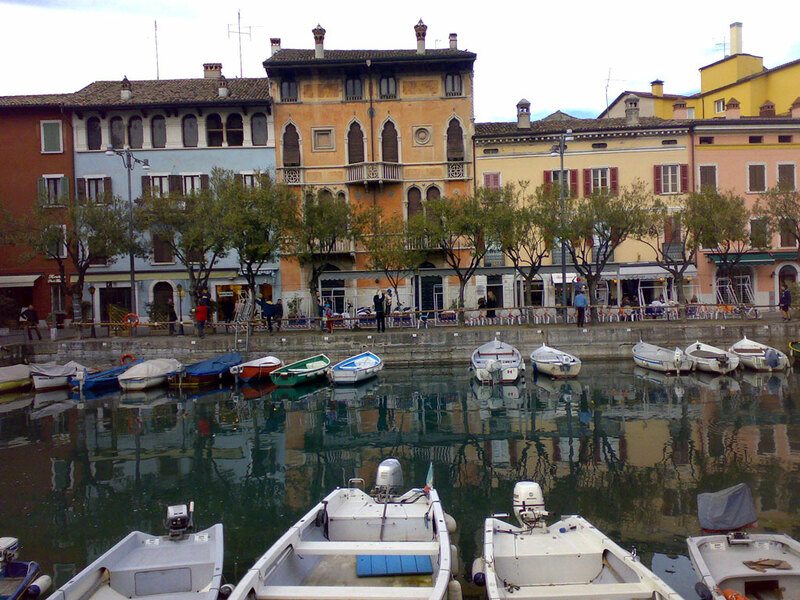 And also the atmosphere of the pretty little towns along the lake shore range from Venetian to Austrian. During this tour we’ll discover this great variety of landscapes of Lake Garda and make some amazing, very diverse walks. 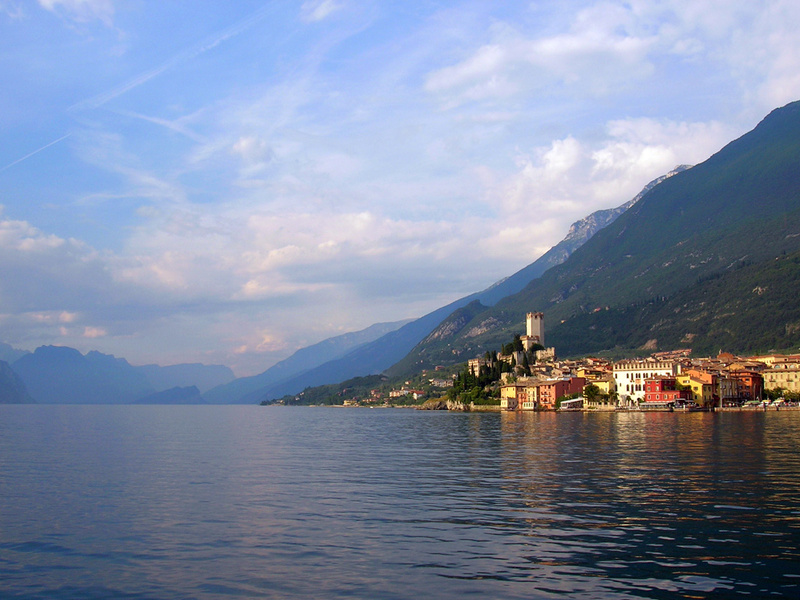 We start our tour from the charming small town of Garda, on the eastern shore, which gave its name to the whole Lake. Garda is still very Mediterranean, a good start for our first easy walks. Upon arrival in Garda we first make a short relaxed afternoon walk onto the peninsula of San Vigilio, already described by the Roman writer Catullus. The atmosphere of this small medieval hamlet is like a fairy tale. 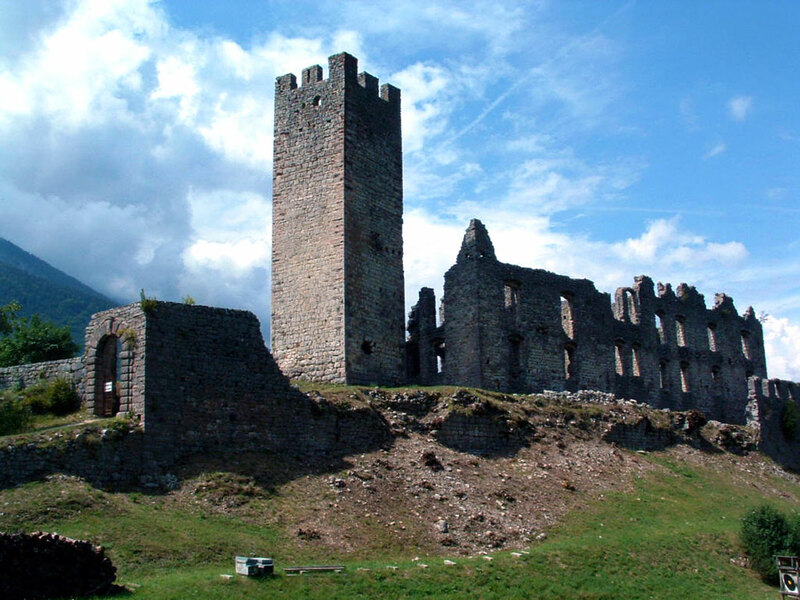 The next day we make a first real walk, onto the ‘Rocca’ (fortified rock), complete with an abbey and the remains of a medieval castle. We climb up towards the abbey, a steep but short and pleasant climb, rewarded by beautiful views over the lake. 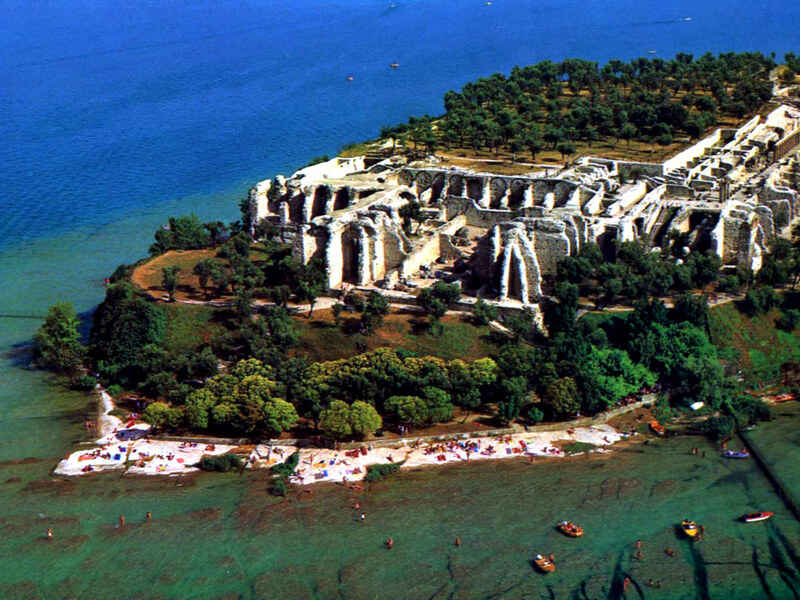 We of course travel by boat to Sirmione, the ‘Pearl of Lake Garda’, dominated by its medieval castle. 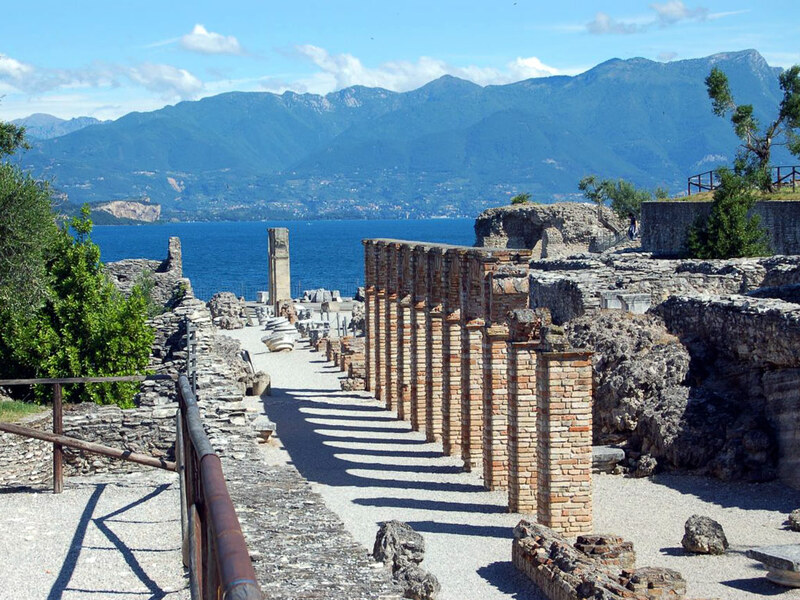 Also here we make a beautiful relaxed walk onto the peninsula, and we’ll visit the remains of the villa of the Roman writer Catullus. 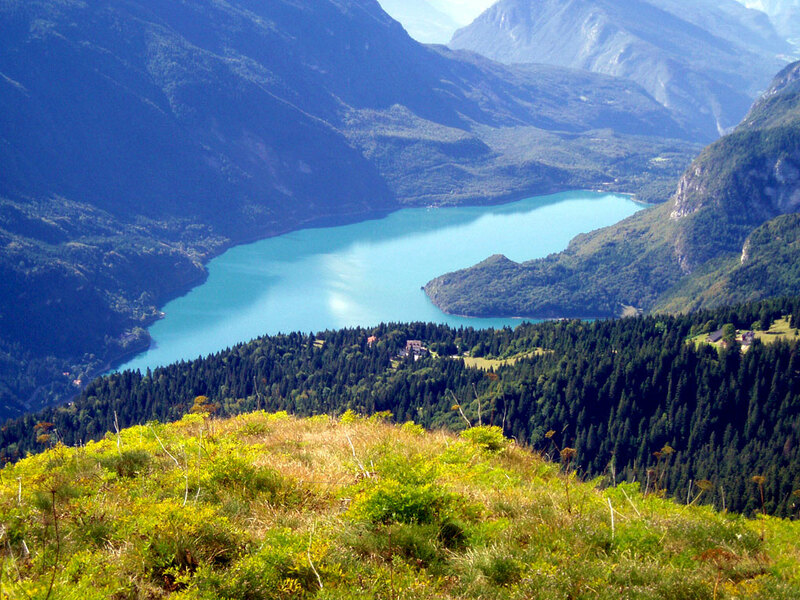 We’ll then enjoy some real mountain scenery, travelling up by cable car to Mount Baldo, the great mountain range which runs all along Lake Garda. 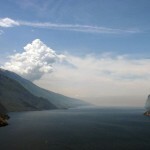 Here we make a beautiful roundwalk, with great views over both Lake Garda and the valley of the river Adige. Then we settle in Riva del Garda, still on the same lake, but with a very much more Alpine character. From here we discover the Brenta Dolomites, a less known, but certainly not less beautiful part of the Dolomites. We travel to Molveno, located on a beautiful alpine lake, one of the deepest in the Dolomites, and by cable car we make our way up onto the mountain range. Here we’ll enjoy a beautiful, relatively easy roundwalk, a good introduction to what the Dolomites have to offer! 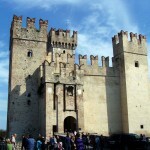 We’ll finish our trip in the charming small town of Trento, with its wonderfully decorated houses and impressive castle. Those who wish can make another day-trip from here: by cable car, crossing the Adige River, up to Monte Bondone. This is Trento’s ‘house mountain’, with amazing views over the Adige valley, its castles and its vineyards. 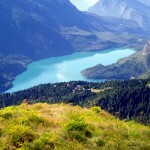 Or continue their trip into the majestic Dolomites, Italy’s most beautiful mountains. The premises where we will stay are all special welcoming venues. The standard of the tour is 3-stars hotels. 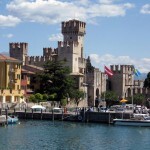 This tour is guided by a professional guide from EquipeNatura, specialists for Lake Garda & the Dolomites. 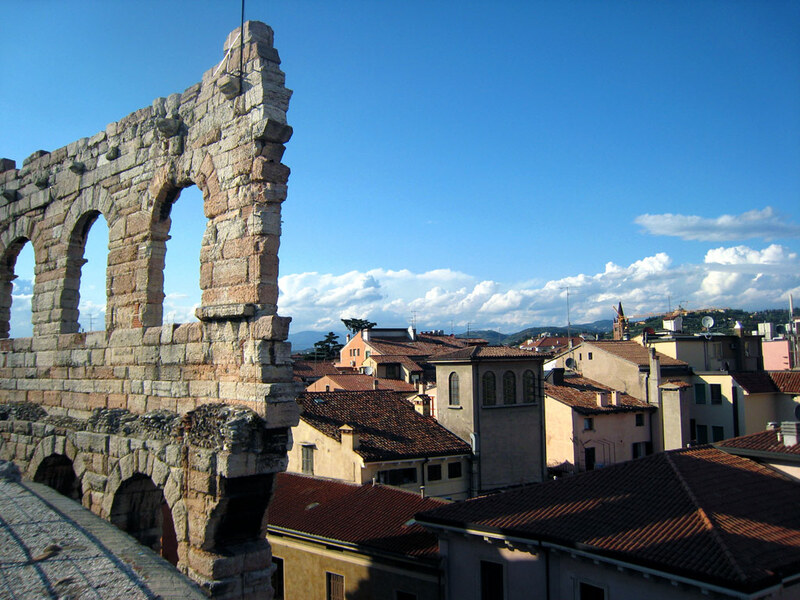 The starting point of our tour is the beautiful city of Verona, known for its Roman Arena, but as well for the famous balcony of Romeo & Juliette. 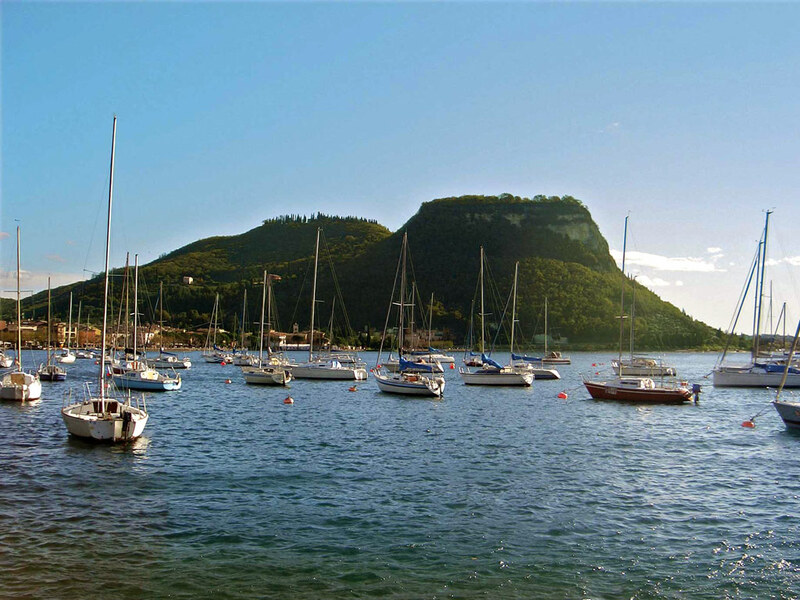 Here, at 3 PM in the afternoon, we will meet our tour leader and fellow travellers and travel by private bus to the charming city of Garda, the ‘Pearl of Lake Garda’, dominated by its ‘Rocca’ (rock) with an abbey and the remains of a medieval castle. Here we first settle in our hotel and then make a relaxed afternoon walk. This walk along the lake shore brings us onto the peninsula of San Vigilio, already described by the Roman writer Catullus. The atmosphere of this small medieval hamlet is like a fairy tale. Here we have our ‘aperitivo’ and a short introduction on what lies ahead for the next week. You then may wish to spend some time here on the tranquil lake, have a drink, or relax in the park. In the late afternoon we either walk back or travel back by bus to Garda. In the evening we go out for dinner together in a nice restaurant which offers the typical regional cuisine. After a leisurely breakfast we make a wonderful roundwalk, a first test for our hill walking skills. 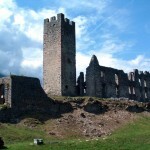 Garda is dominated by its ‘Rocca’ (fortified rock), complete with an abbey and the remains of a medieval castle. First we walk through the village and buy some picnic supplies. Then we climb up towards the abbey, a steep but short and pleasant climb, rewarded by beautiful views over the lake. After a visit to the abbey (which also sells very good chocolate!) 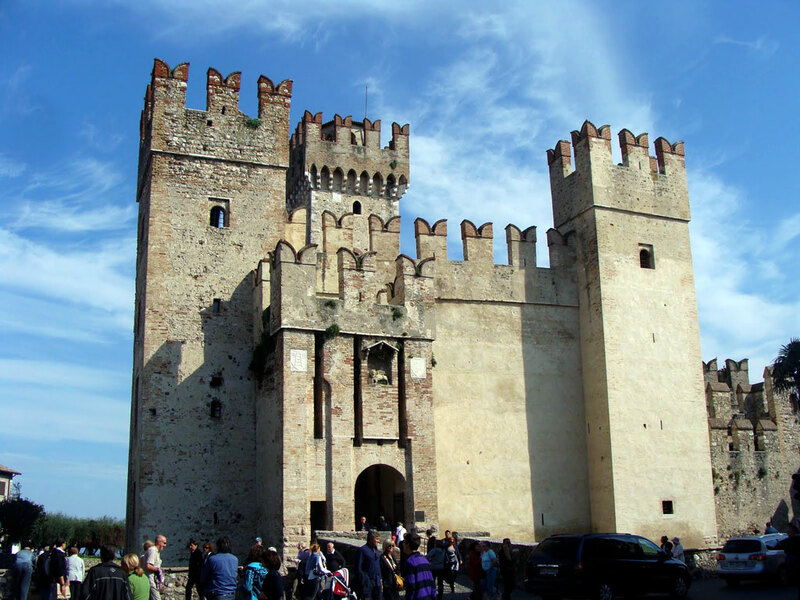 we walk along the remains of the medieval town wall onto the ‘Rocca’, the mountain overlooking Garda and the whole southern part of Lake Garda. This is an ideal place for a picnic with a view. After lunch, we descend back to Garda again. (For those who want to opt out for the morning walk, there is the chance to wander around the medieval alleys or relax on the beautiful lake front, drink a coffee, have a full lunch here or simply grab some ‘panini’.) 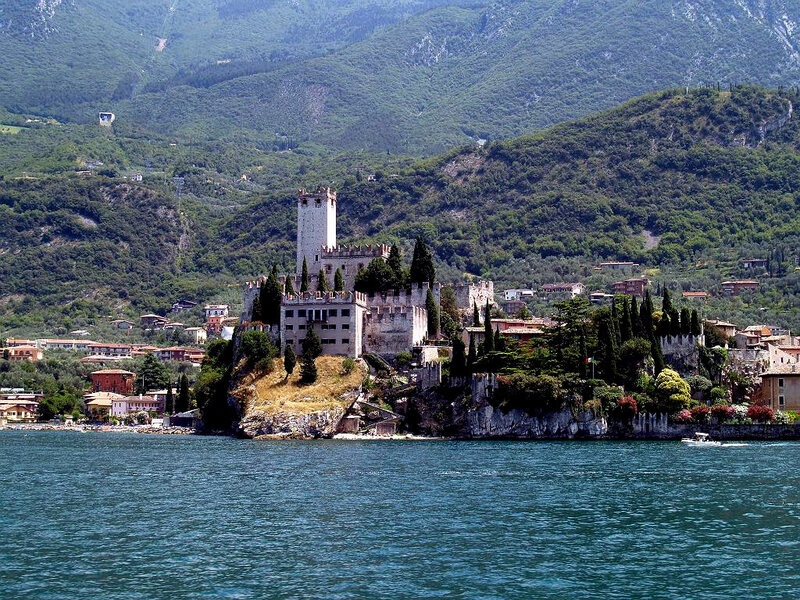 Then, in the early afternoon we go for a short, scenic boat ride, across the southern part of the lake to Sirmione. Here we make a nice relaxed walk onto the peninsula. 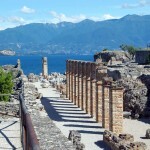 The walk brings us to the beautiful headland, where we’ll visit the remains of the villa of the Roman writer Catullus. You may then wish to spend the afternoon in the ‘old town’, where tall buildings enclose narrow, winding cobbled streets, speckled with tempting cafes. Of course you can’t miss the castle! 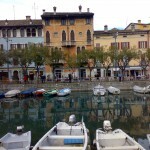 Perhaps have a coffee or an ‘aperitivo’ or simply grab an ice cream, before boarding the boat back to Garda. In the evening we’ll be free to choose our own dinner. 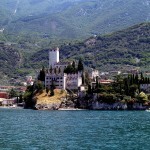 Today we travel from southern, ‘Mediterranean’, shore of Lake Garda to the northern, ‘alpine’, side of the Lake. We pass many photogenic villages and then stop in the beautiful village of Malcesine, where the great German writer Goethe loved to stay at the castle. 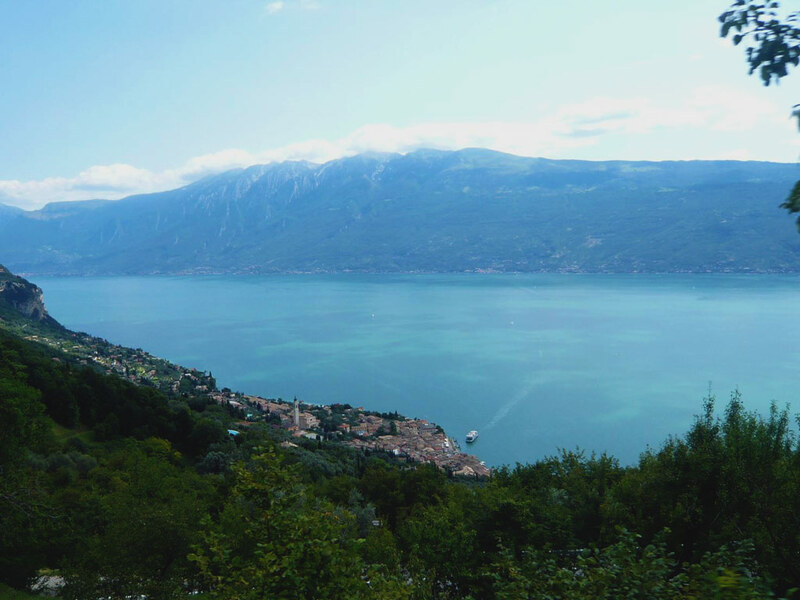 We’ll travel up by a cable car, with rotating cabins, to assure us views at 360°, all the way up to Mount Baldo, the great mountain range which runs all along Lake Garda. Here we make a beautiful roundwalk, with great views over Lake Garda and the valley of the river Adige. We’ll either walk back down to Malcesine or take the cable car again. 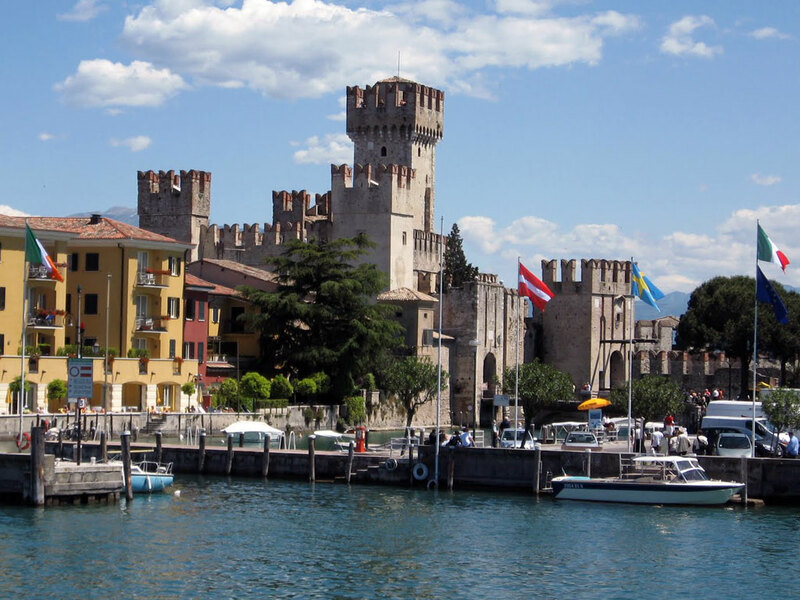 Then we travel on to our next base, at the most northern point of the lake, in the charming small city of Riva del Garda. We stay in the medieval town centre, with its colourful painted houses. Here we notice that we have also passed a ‘cultural border’, which was also the border between Austria and Italy. In the late afternoon, with those who want, we do a last stretch of a very scenic walk along the old 18th century road, full of memories of the time that the border between the Austrian Empire and Italy was located here, now a beautiful walkway and cycle path. Others can enjoy some relaxation in our hotel. In the evening we go for dinner in a nearby restaurant, under the medieval arches of Riva, which offers the typical regional cuisine of the Italian Lakes region. A drink on the lakeshore square is the perfect end to a beautiful day. After breakfast this morning, we travel by private minibus to Molveno, located on a beautiful alpine lake, one of the deepest in the Dolomites, at the foot of the towering Brenta Dolomites, a lesser known part of the Dolomites. By cable car we make our way up onto the mountain range, and then enjoy a beautiful, but relatively easy roundwalk, a good introduction to what the Dolomites have to offer! We’ll have a picnic lunch in the mountains, or if we wish we can enjoy some local specialties at a ‘rifugio’ (mountain hut). After lunch we make our way back down into the valley, but now we walk down to Andalò, a scenic descending walk. We have a short stop for a drink here, before travelling our bus picks us up. We now make a great ride, first through an Alpine landscape, then through the amazing vineyards of the Adige valley, which brings us to our next base, the city of Trento, the most northern Italian speaking city, on the frontier between Mediterranean and Alpine cultures. And it seems to have taken the best of both worlds! We settle in our centrally located hotel and then, before going for dinner, we enjoy some time wandering around the historical city centre, with its beautifully painted facades. Also the Castello del Buonconsiglio is definitely worth a visit. Total walking time: around 4-5 hours. Total driving: around 1,5 hour. Meals included: 1 breakfast, 1 dinner. This morning after breakfast, our journey ends. We can opt to spend some more time in the Dolomites, or travel down to Verona or Venice, which can both easily be reached by train. A transfer back to Verona can be arranged at any time. Meals included: 1 breakfast. Night 3 : This night is spent in spent in a charming 3-star hotel in Riva del Garda. 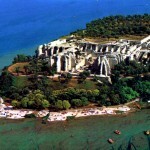 A wonderful location, at walking distance from all main monuments and the Lake shore. Night 4: This night is spent in a good 3-star hotel, located in the centre of Trento, at walking distance from all main monuments and the river. • Meals: all breakfasts, 3 dinners (good restaurants!). Moderately easy (3): Mostly moderately easy walks, along well maintained footpaths, with nonetheless rough surfaces. On some days some stretches are difficult for those suffering from vertigo (but NOT dangerous!). On these days alternative options are available. Extensions or shortcuts are also possible on most days. 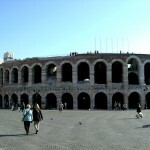 Arrival:The tour starts in VERONA (Train Station), a city with an international airport, and connected with Venice, Milan & Rome (and all other major Italian cities) by a frequent (high speed) train service. From the airport there are regular shuttle buses to the train station. Departure:The tour ends after breakfast on day 5 in TRENTO. 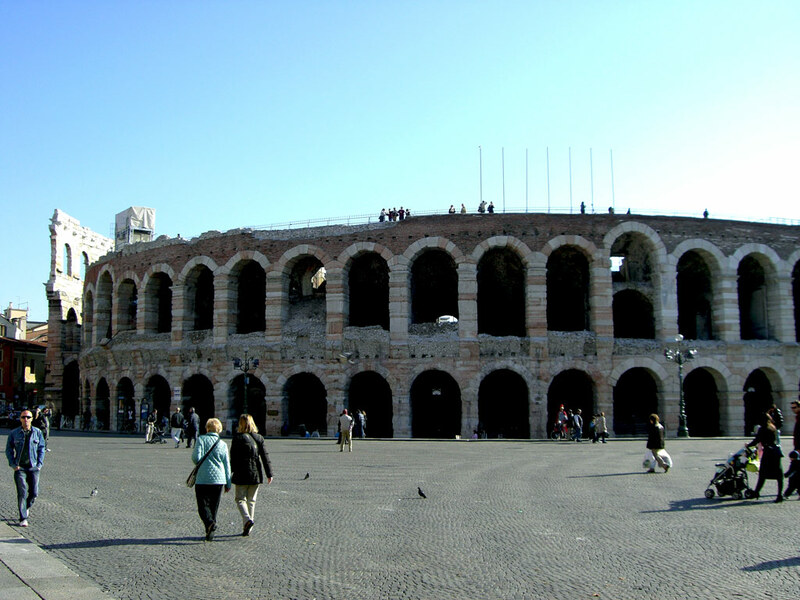 A short transfer brings you to the train or bus station (included), from where you travel back by bus or train to Verona or Venice. Several taxi services are available to bring you directly to your next destination. The tour can easily be extended with our Dolomites tour ! This tour features a few days in Val Badia, a great stay in a mountain hut and a few days in Cortina d’Ampezzo. Another good suggestion is to add a few days in Venice (see below). Several good accommodations are available. N.B. 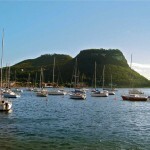 For this tour tailor-made private departures (for groups of minimum 4 persons) can be planned on any date. Availability & prices on request. Prices start from 790 euro p.p., depending on the season, accomodation and number of persons in your private group. It is possible to include some extra nights before or after your tour. 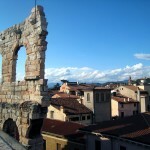 For those who have never been in Verona an extra day here is strongly recommended. Also Trento is definitely worth an extra night. At the beginning or the end of the tour there is the opportunity to visit Venice. The tour can easily be extended with a few days here. Details and prices on request. A longer, 11-day version of this tour (including the Dolomites) is also available. See also our other tours !